Urbanline Architectural has added an innovative and improved line of composite cladding profiles to their Vulcan range. Offering ‘chunkier’ options, the new Vulcan Zara cladding range facilitates greater creativity as the profiles can be mixed and matched for a distinctive, asymmetrical finish or used uniformly for streamlined class. Featuring five new profiles in varying shapes, Vulcan Zara cladding allows for standout design features including shadowlines and 3D effects. Key benefits include thermal modification for greater stability and durability, resisting decay; high strength in a lightweight design; patented vertical grain preventing surface cracks and reducing movement by up to 90% compared to other species; FSC certification; material free of chemicals and preservatives; simple installation; and minimal maintenance requirement. The thermal modification process helps create a more stable and durable material that resists decay and rot, and provides a 30-year service life for above-ground applications such as cladding and decking. Vulcan Zara cladding is sourced from New Zealand’s renewable plantations. 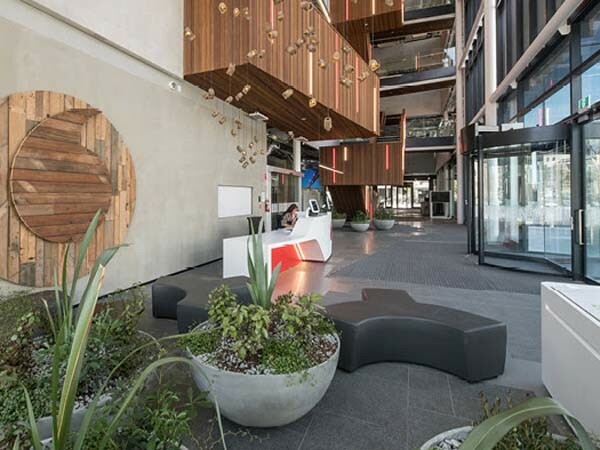 Vulcan Zara cladding is brilliantly showcased within the state-of-the-art headquarters of Vodafone in Christchurch, New Zealand. The cladding has not only helped the building achieve Green Star rating but also injects a warm and striking look to the stylish, technology-focused design. The new Vulcan product was used extensively inside the building, which was quite unique considering its usual external application. With its assured durability and performance, Vulcan Zara cladding was the perfect choice for a project promoting sustainability, wellbeing and business success.